As Ben Bernanke comes to the end of his term as chairman of the Federal Reserve, his second in command at the central bank, Janet Yellen (above), is considered by many to be a likely successor. January spells the end of Ben Bernanke’s term as chairman of the Federal Reserve. Should President Obama ask him to stay, or should he opt for one of two prominent candidates — Lawrence Summers, former Treasury secretary, or Janet Yellen, vice chairman of the Fed? Chairman Bernanke likely wants out of this very tough job. Should the president twist his arm? My answer is no, notwithstanding my deep respect for Bernanke as an economist and public servant. I give Bernanke high marks for devising novel, large-scale interventions to keep our financial system from melting down in 2008. But I don’t think he got or gets what really caused the Great Recession. Bernanke points to bad borrowing, bad lending, bad bankers, bad regulators, bad housing prices, bad securities, bad laws, and bad luck as the source of our bad times. But the Great Recession was ultimately caused by fear and fear of fear, not by economic fundamentals. When Bernanke and Treasury Secretary Henry Paulson let Lehman Brothers fail on Sept. 15, 2008, they turned the panic dial to maximum, and the delicate coordination that underlies our economy fell apart. The stock market began tanking as millions of employers decided that firing workers was safer than praying for customers. Nineteen months later, 8.5 million workers had been laid off. Had they all been fired on Sept. 16, 2008, it would have been crystal clear that collective panic, not economic fundamentals was at play. Yes, Bernanke and Paulson went into overdrive to pass TARP — the Troubled Asset Relief Program — in an attempt to restore confidence. But it was too late. Everyone decided bad times had come, and individuals took steps that produced the disastrous collective outcome. What Bernanke, Paulson, and President George W. Bush didn’t do was to put 1,000 of the top employers in a room, lock the doors, and tell them in the strongest possible terms to immediately rehire everyone they were putting on the street. There is no guarantee this would have worked, but they had an obligation to try. Instead of coordinating collective rehiring, Bernanke printed a vast ocean of money — almost $2.5 trillion! — to lower interest rates and boost confidence. This policy has devastated retirees living on fixed incomes and potentially planted a massive inflation bomb. Moreover, it’s failed to restore full employment. Bernanke also enabled Congress and the White House to continue spending far beyond our country’s means. Today, roughly 1 in 5 dollars Uncle Sam spends is being printed by the Fed. Finally, Bernanke endorsed the Dodd-Frank financial overhaul law, which does next to nothing to address the banking system’s core problems — too much borrowing and too little transparency. So thumbs down on Bernanke. What about Summers? Summers is certifiably smart. He shares smart genes with two Nobel laureates in economics, his uncles, the late Paul Samuelson and Kenneth Arrow. He was the youngest person to receive tenure at Harvard, and, in his 30s, won the John Bates Clark Medal for top economist under 40. But for all his smarts, Summers’ performance in public and private service has disappointed. His tenure as World Bank chief economist was marred by ill-considered remarks on environmental policy. His days in the Clinton administration saw no tax reform, no Social Security reform, no health care reform, and massive increases in our government’s off-the-books unfunded Social Security, Medicare, and Medicaid liabilities. Summers also helped remove remnants of the Glass-Steagall banking regulation and deregulate derivatives. Then there was his debacle running Harvard, his mismanagement of Harvard’s endowment, and his $5 million-a-year hedge fund job, which makes one wonder if Wall Street would regulate the Fed with Summers at its head. Summers’ record under Obama is no better. He provided no real leadership on health care or financial reform. Partly as a result, we are stuck with two very badly flawed policies in these areas. So thumbs down on Summers. This leaves Yellen, who I think would make an outstanding Fed chairman. The Fed is an independent agency, and needs to stay that way. Yellen’s in nobody’s pocket. She isn’t beholden to the White House, either party, or Wall Street. And unlike Summers, Yellen brings a wealth of experience with the Fed, serving for years as president of the Federal Reserve Bank of San Francisco and, since 2010, as second-in-command of the Federal Reserve system. She was also chairman of the Council of Economic Advisers under President Clinton. Yellen is a brilliant economist, every bit as smart as Summers, if not smarter. But she also knows how to listen, learn, and bring people together to make collective decisions — an essential skill for the job. She’s had plenty of regulatory experience, spotted many of the last decade’s financial problems earlier than most, and led the Fed in many areas, particularly pushing to increase transparency. 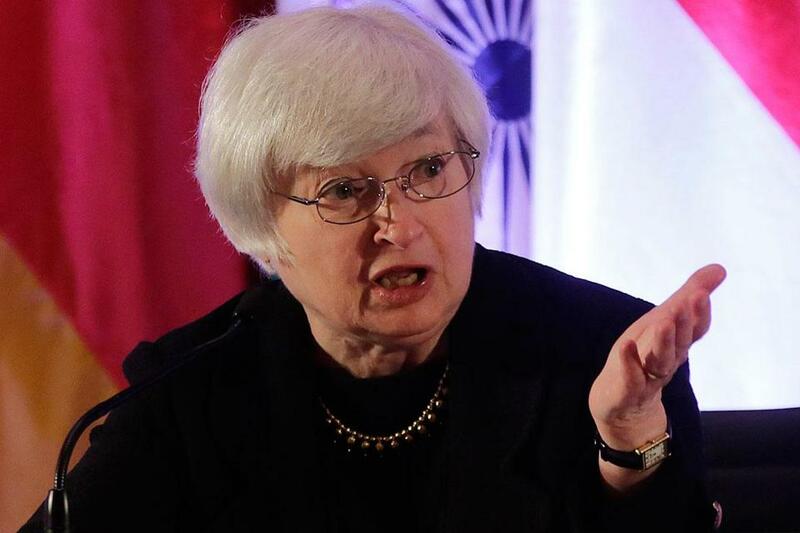 The big and, I must say, sexist question about Yellen is whether she is tough enough. Trust me. She’s plenty tough. Yellen is a person of deep integrity and knows exactly whom she’s working for — the American people. She’s also fully prepared to make tough calls and unpopular moves whenever they are in our nation’s interest. Finally, she has, in my view, a deeper understanding of the core problems in our financial system and economy than either Bernanke or Summers.